Formal gardens are the opposite style as cottage gardens. Instead of being free-form, they have a well-defined structure of uniform, symmetrical plantings. 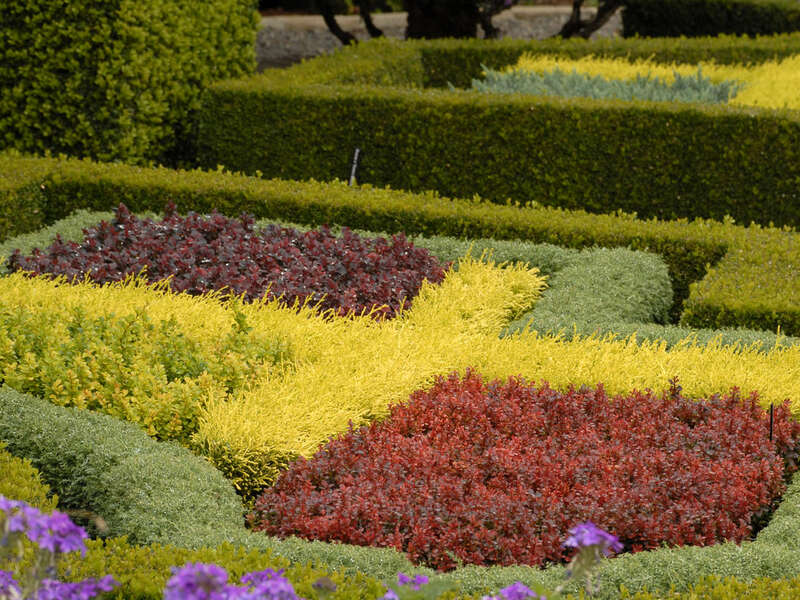 Taking their inspiration from geometrical shapes, the lines of a formal garden are usually straight or angular. The lines lead your eye to a focal point in the landscape, whether that be a front door, piece of sculpture, or a framed view. Mirroring symmetry is also important in a formal garden. This may take the form of two identical borders flanking a patio or two matching pots on either side of an entrance. A limited palette of plant material is typically used in a formal garden. Instead of planting 20 kinds of perennials as you might in a cottage garden, limit yourself to 3 or 4 and repeat them throughout the formal design.